We are located in the Bakehouse Quarter in the multi-storey glass building. We are on level 1, just above Alfred Imaging and two floors below Fitness First gym. We are on the other side of the building to where the North Strathfield GP Medical Practice is located. Parking is free of charge for the first 2 hours in the old Arnotts factory building across the road. Parking is also available free of charge for the first 1.5 hours next to Aldi grocery store. If you are taking public transport, we recommend you visit the website www.transportnsw.info to assist you in planning your trip. 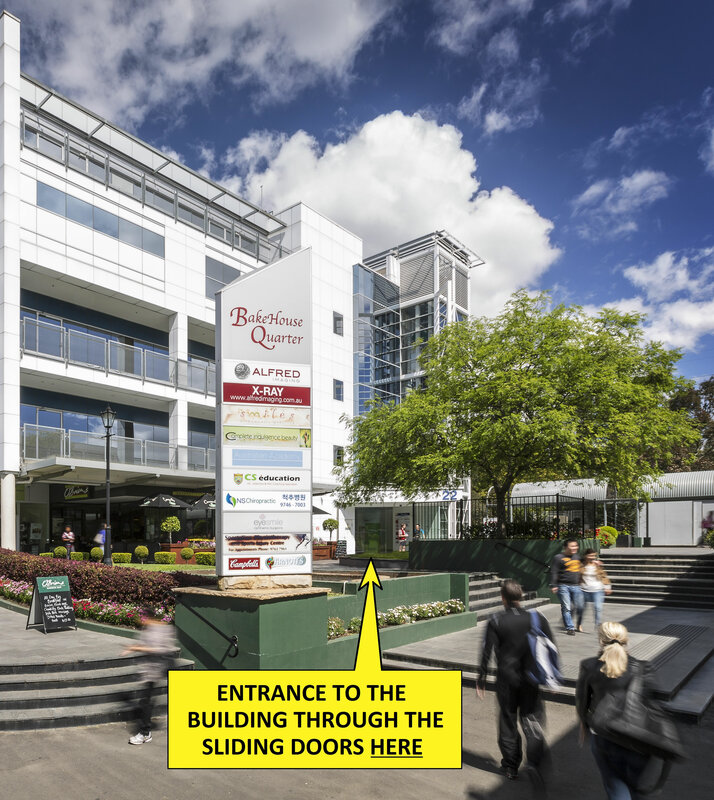 We are only a 5-10 minute walk from both North Strathfield and Homebush train stations.